New Beer! Lots and lots of it! Oh wow! 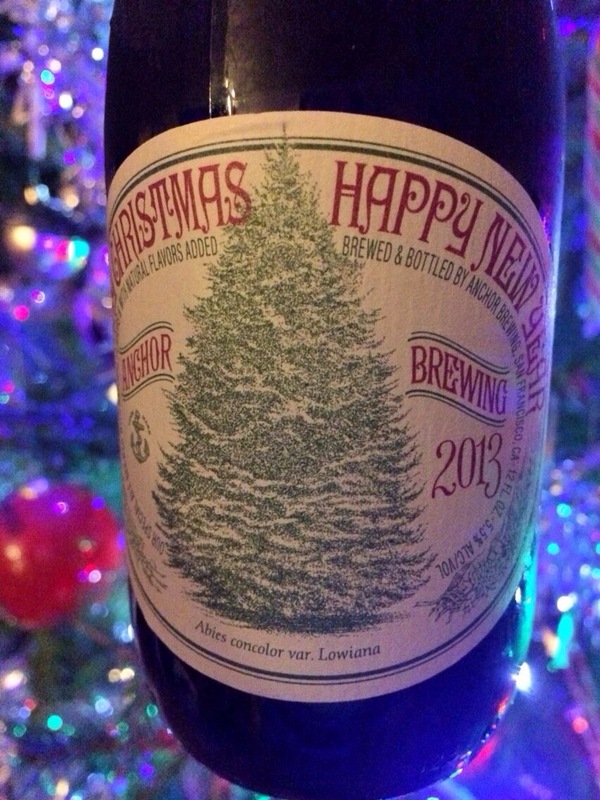 Hubby got me a ton of holiday beer this year, and we’ve been having great fun drinking it! The labels are creative and beautiful, the beer is gorgeous, and the craic is mighty! I’ve been drinking these over the last few weeks, so I can’t quite recall how most of them tasted now. Please accept the brewery’s description (in quotes). 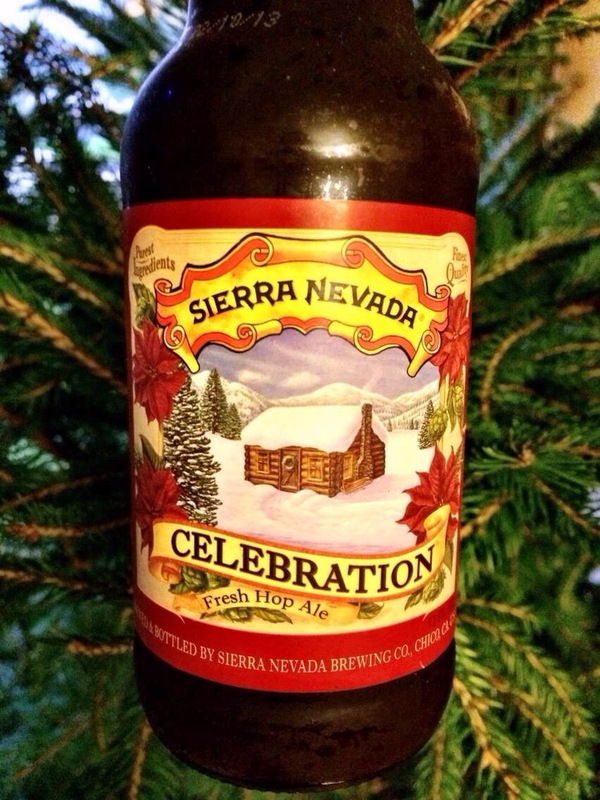 Sierra Nevada Celebration Ale. Our first one – our tree doesn’t even have lights on it yet! Barbar Bok. It kinda kicked our asses! Anchor Steam Christmas Ale. I’ve had this in previous years, back when I was still an American. 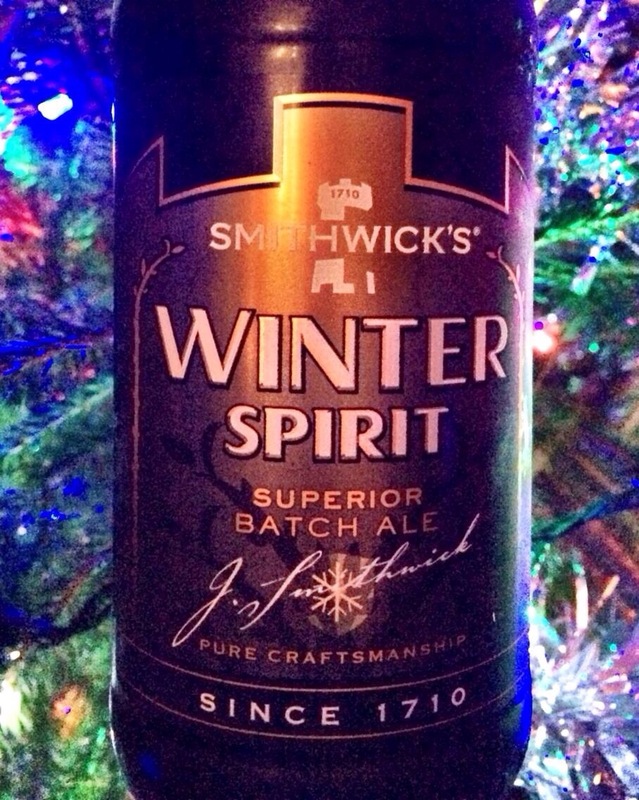 Smithwick’s Winter Spirit. I can’t get a brewery quote, just a press release quote – a shame as this is the first Irish beer on my list. Not enough spice – it tasted like a really good pint of Smithwick’s. 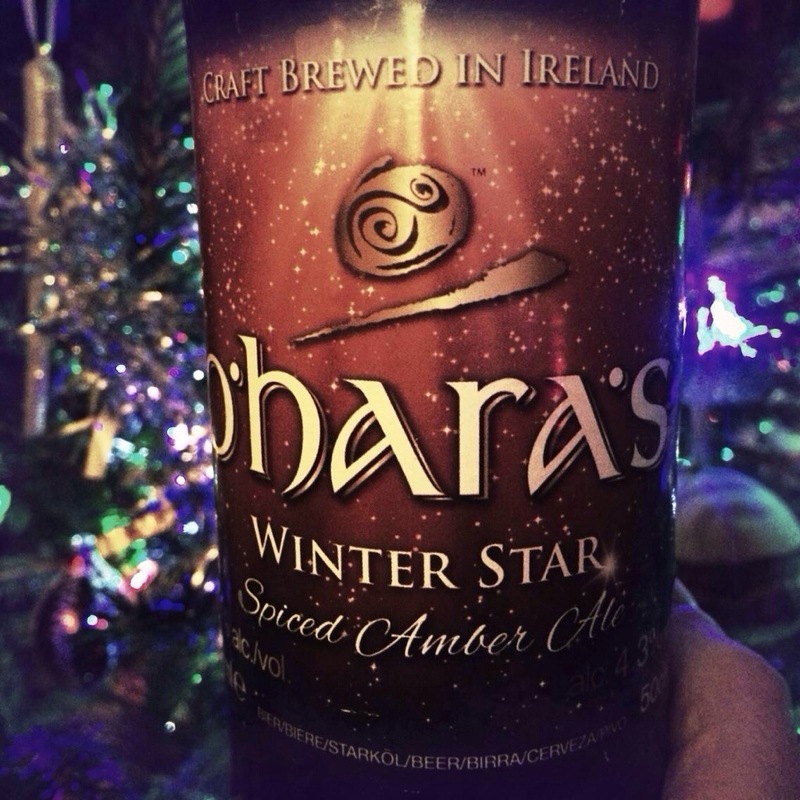 O’Hara’s Winter Star Spiced Amber Ale. Another Irish brew, it had a very spiced scent and smelled lovely – but not strong enough for us. The necessary warming note of a winter ale was lost here. On to tonight’s smorgasbord! 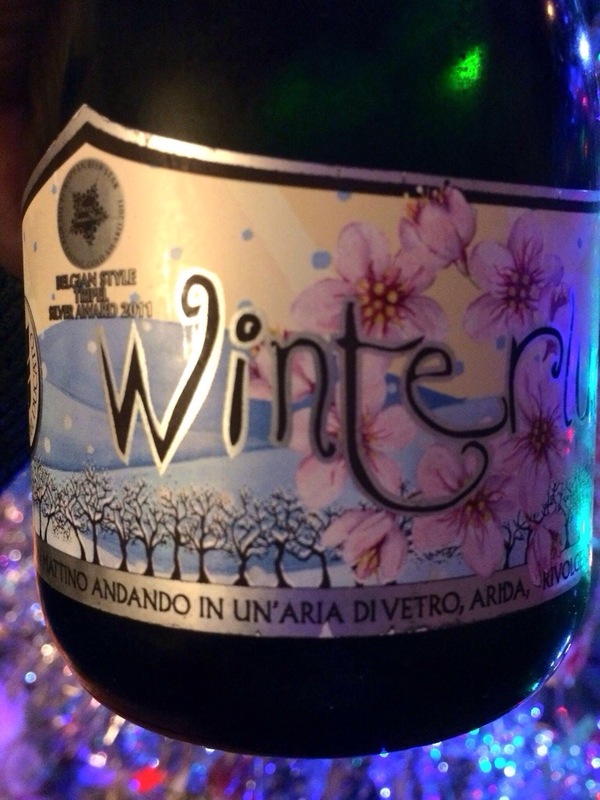 First was Italy’s Birrificio del Ducato Winterlude. ‘The champagne of beer’. Well, yes; it bubbled all over the damn countertop! We drank it a bit too cold – once it warmed up I got the wonderful fruity taste. I thought it was orangey, but it seems I was wrong. “Top fermented beer which undergoes a secondary fermentation in bottle. It is intense gold, almost orange in color, with aromas of fruit in syrup (pineapple, peach and apricot), candy sugar, bread crust and a note of chives from the Belgian hops of Poperinge. Warm and sweet on the palate with a firm fizzy finish. Strong and structured, sweet and inviting. A tribute to a friend who went missing, who we may meet again one day, just like the sun that is hiding behind the hill. Winterlude is also named after a Bob Dylan song, a perfect fit since it is a winter warmer. The idea of winter as an interlude representing both the pause before awakening and the oblivion before new life. 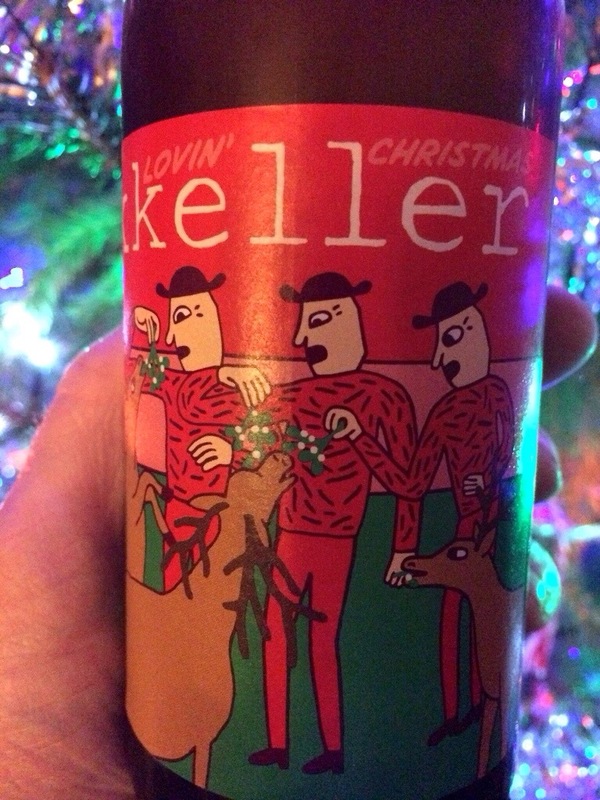 From Denmark: Mikkeller’s Hoppy Lovin’ Christmas. Once again we had it a bit too cold at first, but once it warmed up? Pine needles. Not kidding. It worked! A lovely beer, I could have had several, no bother. 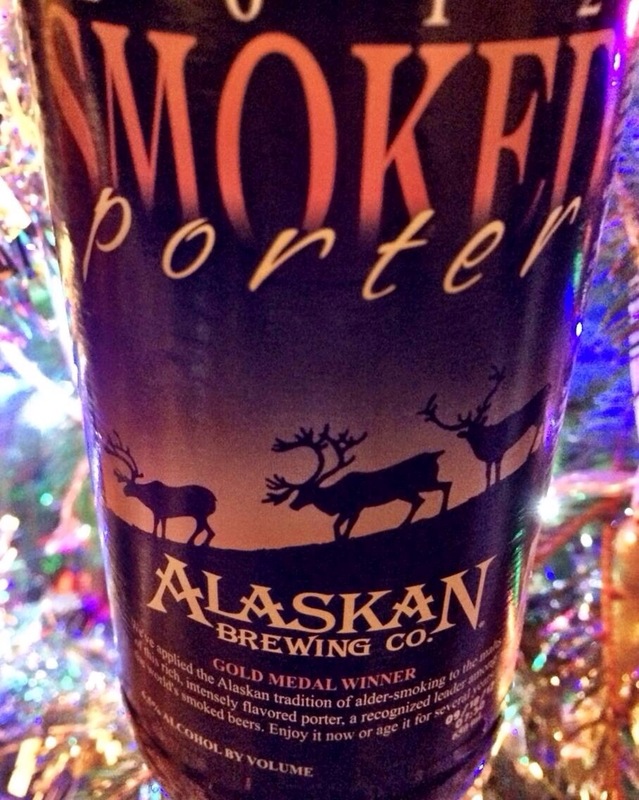 Alaskan Brewing Company’s Smoked Porter. The best. Best. Best! 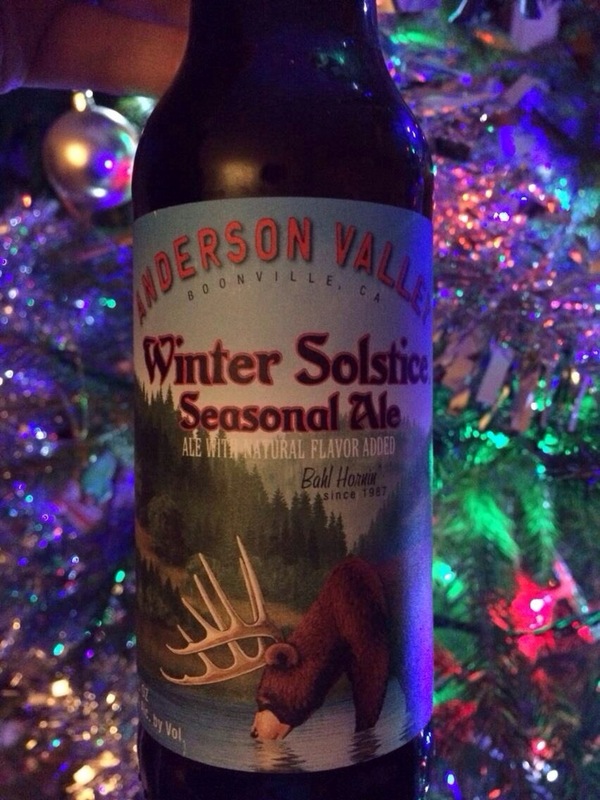 Technically, this is not anything remotely Christmas, Holiday, Seasonal… I don’t care. I got it for Christmas and had it tonight. I don’t think we said anything but ‘Wow!’ for five minutes. The smoke… wow! It was a strong, strong taste. It was amazing and wonderful and damn, if it didn’t cost as much as a bottle of fine wine, I’d have more. Wow. I can’t say enough how wonderful the porter was. If you try anything on my list today, try this! And pay what they ask: it is worth it when it comes all the way from Alaska (where two good friends and now my sister, brother in law and only niece are enjoying the long nights and snowy cold days). Even I couldn’t have it all in one night! I want that Celebration. I’ve had Scots pine ale which I loved, and I could chew hops like Doublemint. It was nice! Have a look, I know you have access to a lot more types of beer than we do. Ahhh delish 🙂 they look and sound great!! Not great for summer drinks! Well, maybe that champagne one. Hahahhah if it’s wet and it’s hot outside I don’t care 🙂 actually haven’t had that many bevvies this summer so far..must rectify! That’s okay, I’ve had enough for both of us! Your beer tastings are like my wine tastings. We tried one called Delirium Tremens over the Christmas. 9%. The clue is in the name! Noooo! Where was it crafted? Sounds like my kinda drink! 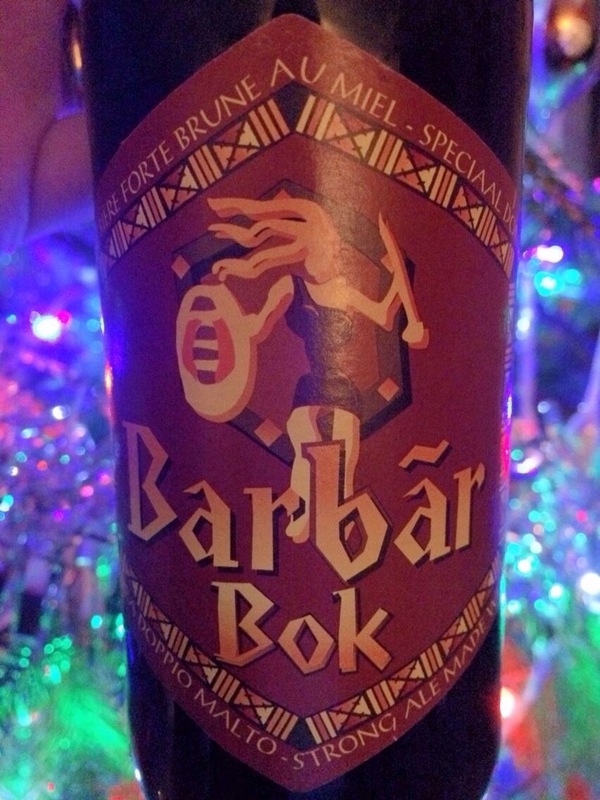 It’s Belgian but you can get it in a lot of off licences in Ireland. Kinda chocolatey and rich. Tasty but dangerous! I LOVE CHRISTMAS ALE. It’s my favorite. My brother and I exchange some every year at the holidays. If you send me your address, I will send you a bottle of Great Lakes Christmas Ale. Seriously. I have a few left–it’s from Cleveland, Ohio. You can ship beer, right? Without damaging it? Heh. And you’d have to lie on the customs form! I got close (ish) with the Alaskan!